The nightmare scenario of being buried alive has never had such a realistic portrayal in cinema. 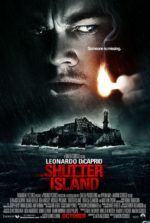 For the first time, audiences have no place to escape, no scenes that free us from the dark underground prison. 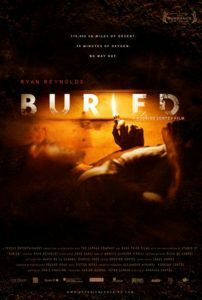 During the full 94-minute runtime of Buried, director Rodrigo Cortés confines his audience inside a rough wooden coffin with the protagonist, played by Ryan Reynolds, to feel his suffocating physical restraint, claustrophobia, and sheer panic through the situation. Reynolds’ tour de force performance is nearly the only thing onscreen, and he keeps our attention with rampant intensity. Approaching Hitchcockian ingenuity, the film attacks us both on cerebral and unparalleled physical levels, forcing the audience to writhe in their seats as they consider the implications of the hero’s dilemma. Paul Conroy (Reynolds) drives trucks in Iraq for a major corporation. When his convoy was attacked, he blacked out. When he awakens, he finds himself trapped inside a wooden box. Whoever did this left Paul a few items, including a cell phone, a Zippo lighter, a flashlight, and a knife. But he cannot escape on his own with them. With his air supply running out, he makes calls to loved ones and tries to reach someone of authority that can help him. Desperate calls to family members illustrate his desire to connect with someone while down there. Contacts at the government and his job do what they say is their best to help, but there are always ulterior motives. Likewise, he’s contacted by the criminals that put him inside the box and asked to do things to speed up their ransom demands. Cortés’ clever execution has earned justifiable comparisons to Alfred Hitchcock, as the limited space doesn’t confine the director’s camera or his ability to keep our interest, not in the least. Beginning with a title sequence that recalls something Saul Bass might have done had he access to computer-generated images, the evident desire for a certain Hitchcockian quality is apparent. Much like Hitchcock did by setting the entire procession of Rope inside a single apartment with only a few cuts to separate long shots, Cortés limits the setting. The story itself might seem more suited in scale for an episode of Alfred Hitchcock Presents, complete with a twist ending, but the script by Chris Sparling extends a seemingly restricted range into a turbulent, eventful experience. Moviegoers that haven’t spoiled the film for themselves might wonder how much could really happen inside a coffin; though it would be criminal to hint at what goes on in there, it turns out that it’s a whole helluva lot. Through clever angles, innovative use of lighting, and a devotion to his concept, Cortés evokes the Master of Suspense in more ways than one. The color palette changes based on what form of lighting Paul uses. The screen glows orange from the flame of a lighter, blue from his cell phone, green from glow sticks, and so on. The most astounding aspect of Buried is that Cortés resists any temptation to take us outside the box. He could have used flashbacks to tell us how Paul was captured; he could have used a split-screen effect to show us the people talking to Paul on the cell; he could have taken us away into Paul’s thoughts about his family for a hopeful break of the suspense. But instead, Cortés maintains his suspense with admirable dedication, to imprison his audience with the protagonist, never allowing us some artificial moment of reprieve. In another way, the entire film relies on Reynolds, whose basic affability allows the audience to place themselves in his situation. Drenched in sweat, unshaven, covered in grime and dried blood, Reynolds doesn’t resemble the heartthrob from The Proposal. His character’s confinement doesn’t allow for range, but it’s crucial for Reynolds to register some very raw emotions in a believable way, and he does that well. 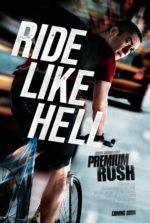 It’s not a performance that will earn Reynolds an Oscar nomination, but it demonstrates that we haven’t seen the limits of his abilities. Other actors’ voices are heard onscreen, including Robert Paterson, Samantha Mathis, and Stephen Tobolowsky—the latter playing an incarnation of evil in the modern age. There are some issues of logic that crop up. Paul’s military specialist contact tells him that if he’s receiving a phone signal, that means he’s only a couple feet underground. If only he could get through the wood… Well, the wood coffin breaks later in the film, and as sand begins to pour in there’s no attempt made to dig himself out (if Black Mamba can do it, Ryan Reynolds can). But this minor quibble isn’t enough to distract from the overall anxiety attack of Buried. 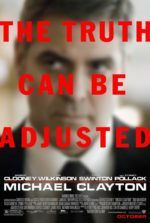 This is a tricky and confronting film that will work once and you’ll likely never want to watch again; once you know what happens in there, repeat viewings aren’t likely to have the same effect. But it’s so impressive the way Cortés refuses to withdraw, so well constructed that it must be admired, and such an audacious exhibition of a fear that is shared by everyone. It simply must be seen; films this dedicated aren’t often made these days.